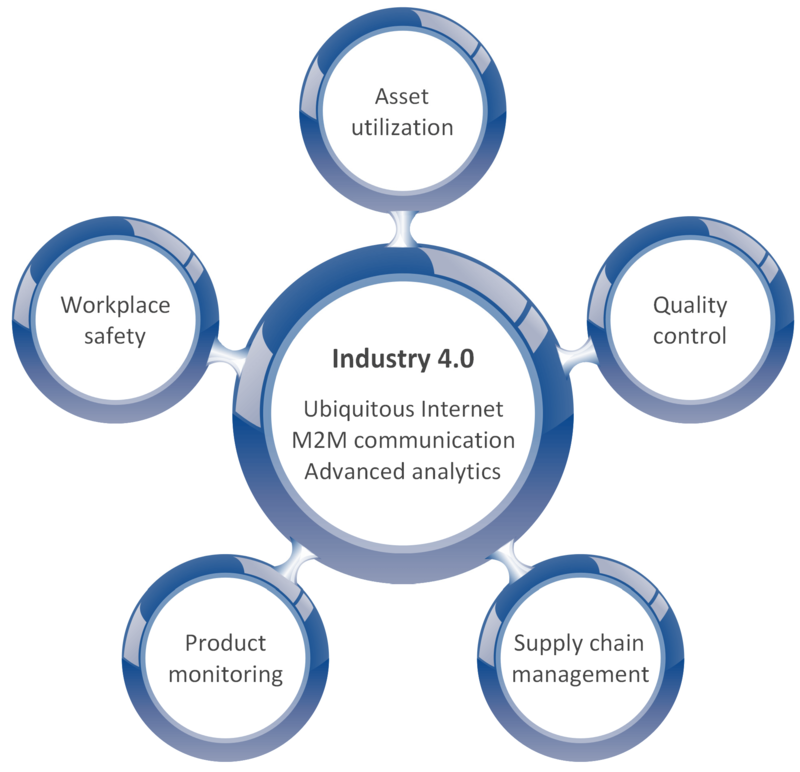 Why Industry 4.0 and why now? Industry 4.0 is the buzzword of the new industrial revolution. But what is Industry 4.0 and why should you care about it? If you have been working in the field long enough, you probably know Industry 4.0 is essentially a trend toward modernizing manufacturing processes in a way that aligns with the latest developments related to automation and data exchange. Ongoing innovations, high customer expectations and the need to keep up with competition all urge companies to optimize their manufacturing processes. Now you are probably asking yourself, how can I use this as a competitive advantage and utilize Industry 4.0 to the maximum by taking my company’s manufacturing mechanism to a whole new level? Your road to the future lies through Indoor Positioning, Asset Tracking, and Worker Tracking. Imagine never having to look for a specific employee or business critical inventory anymore? Seems surreal, but with one click of a button, you can locate all your assets on a dashboard. indoo.rs asset tracking can help you easily locate and track assets whether it’s equipment or personnel, all with the help of indoor positioning technology. Think of the benefits the tracking can bring to your business! Keeping track of the workflow and inventory enables standardization of production processes that eventually leads to increased business efficiency and productivity. It’s no surprise that factory environment often entails hazardous materials that can be dangerous for health and well-being of the employees. The ability to digitally navigate through the entire factory and analyze real-time data and statistics about all the facilities can help identify safety hazards and prevent potential damage before it occurs. Here you can predefine areas that are exposed to hazardous materials and use dwell times to send warnings to employees when they are reaching the limits of healthy exposure. This can also be used to help monitor exposure to excessive noise. With third party integrations with air quality sensors or noise monitors, this can be further enhanced. With Analytics it is also possible to increase efficiencies and to learn from your building and how it is being used. Fair to say the way the workflow goes directly affects manufacturing processes and their outcome. Now who wouldn’t want there to not be any delays and for no safety issues to ever unexpectedly arise? With in-depth data available through indoo.rs solutions, you can examine employees’ movements, activities and time spent in a location to optimize and standardize processes for them to be more efficient. indoo.rs will also help your new employees to not get lost or waste time trying to understand how equipment works by providing them with a total overview of the factory on a digital map. The operation of assets can be massively improved by tracking of their daily routines. Based on the data collected from tracking, assets’ operation can either be automated in the future or simply allocated more effectively, and your competitors will bite their nails nervously watching your manufacturing processes go above and beyond. Dealing with emergency situations can be daunting. The ultimate goal for any company is to avoid emergency situations, but if that may seem like an unrealistic ideal to you, then at least being aware of any potential hazardous situations should be on top of the list. indoo.rs solutions allow you to quickly locate emergencies, send immediate help and take full control over the situation. But since indoo.rs only strives for the best, our solutions will also collect and analyze the data for you to try and prevent faults in advance with predictive maintenance. Moreover, if something does happen despite all efforts, the app can assist your team with evacuations. The revolution is substantially affecting the manufacturing market requirements, which is a clear sign for companies to start thinking about making the processes more efficient and increasing the workflow quality. Are you ready to step into the industrial future with indoo.rs? Check out our Asset Tracking solution and get in touch with us.